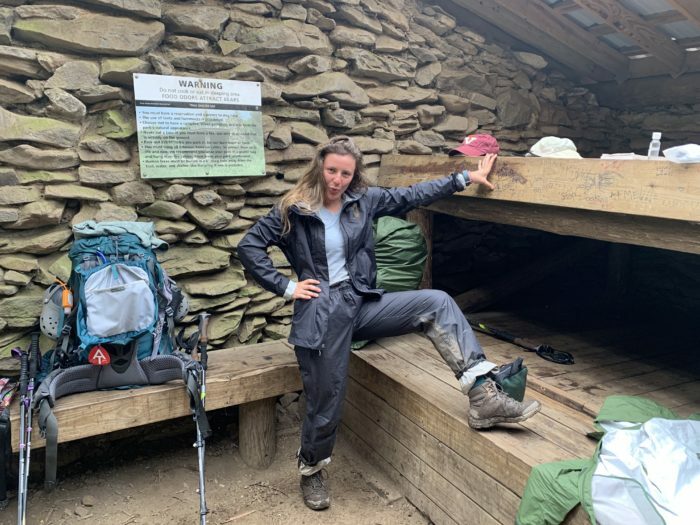 It has been an official three weeks on the Appalachian Trail and I still find myself learning and adjusting to this way of life. Every day has brought new challenges, but I wake up ready to see what is in store for me. It tends to be pretty simple in that I wake up and break down camp and begin to walk, with a basic plan plotted out the night before of where I am heading that day. It feels surreal that I have done this day in and day out for the past 21 days and my own two feet have moved me from Georgia to North Carolina within that time. I already feel the trail has taught me so much within these few short weeks that I intend to remember throughout my journey. It is going to rain, but you will appreciate the sun even more so afterward. Me serving looks on trail in my rain gear. The next day I woke up and redressed in my still damp clothing (side note: nothing ever completely dries on the AT) thinking how unhappy my feet were going to be pushing through another day in soaked socks and shoes. As I started the ascent out of camp and reached Cheoah Bald, the sun finally burst through the clouds. I dropped my pack and immediately laid myself out, attempting to feel the sun all over. Even though the sun had been out every day for the first two weeks, in that moment it could not have been any more appreciated. As the scenery begins to blend, the people you meet and the stories you hear will be the main way of recapturing memories on trail. Enjoying views with some new friends. 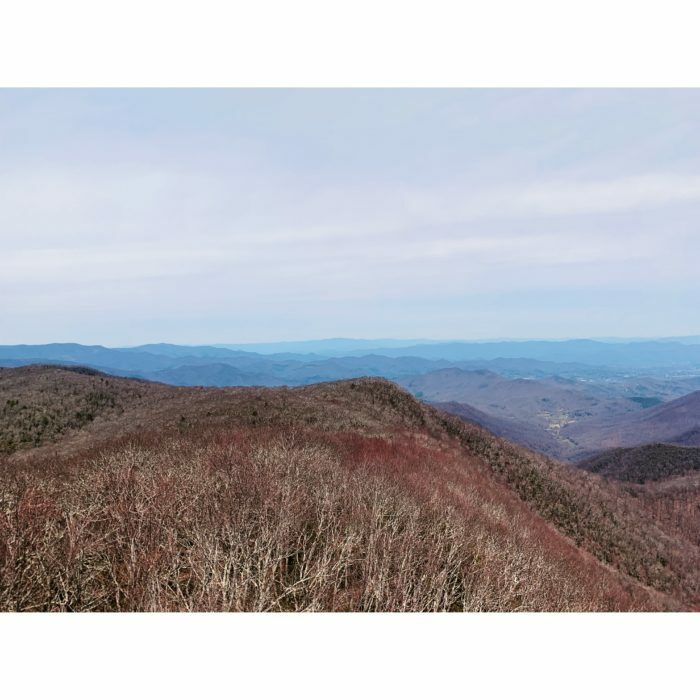 There are certain scenic views along the trail that really stand out; maybe a bald mountain with 360 views, or a stand of coniferous trees that cast a deep shade over the woods, but most of the trail can tend to look similar day in and day out. I have noticed that my memories of certain places and moments are more tied to the people I am with or the stories I have heard at that time. I might not exactly remember what that stretch of trail looked like between miles 107 and 118, but I will certainly remember the nights around the campfire, hearing others’ stories of where they have come from and why they are hiking. The people you are with, which is certain to change along the course of the trail, will help define your experience in the long run. Being patient with yourself and able to laugh at your own mistakes is the best attitude you can have. I still make simple mistakes on the daily. It may be something as small as forgetting to pack something and having to repack my pack after getting it completely strapped up, or something a little more stressful such as underestimating how much water I have left and regretting not stopping to fill up at the last spring. But I have started practicing more patience with myself and realizing there is no use in sweating the small things, just trying to learn from the mistakes and not make them again. 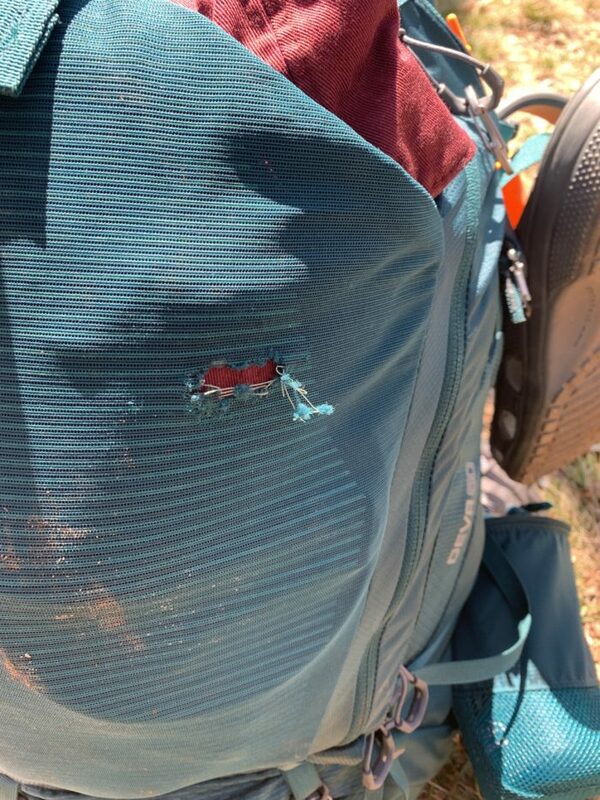 On night two on the trail, I forgot to remove a small bag of trail mix in the front pocket of my pack. The mouse-sized hole on the front of my pack is now a constant reminder to check all pockets for stashed snacks before bed so I do not make the same mistake again. Break the trail down into bite-size accomplishments; the whole picture can be overwhelming. 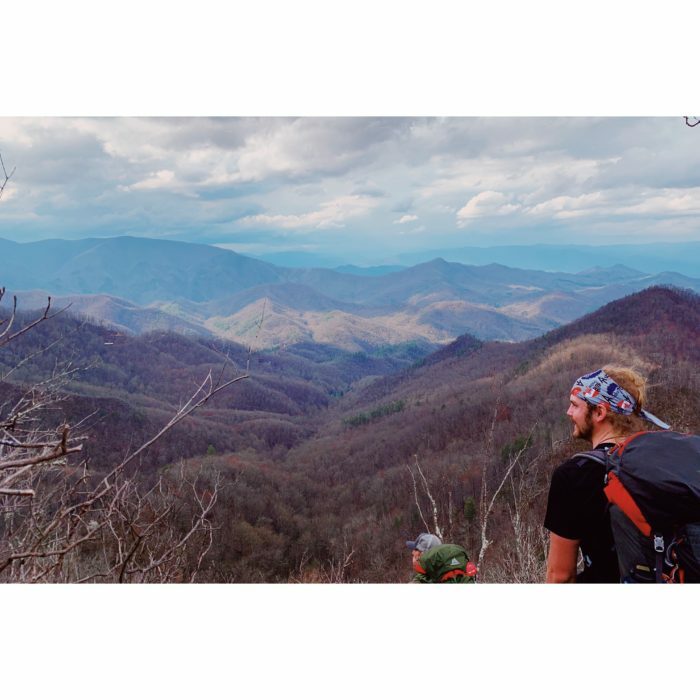 I remember the first day I could see Clingmans Dome, the highest peak on the Appalachian Trail located in Great Smoky Mountains National Park, and thinking to myself, “That is so far away there is no way I am reaching that.” The sight of it gave me anxiety because the mileage between me and it seemed so large, and I was not having a particularly great day with some thoughts of self-doubt sprinkling my inner dialogue. I decided in that moment to break the trail into small conquests, something a little more palpable, as 2,200 miles can be extremely daunting. So far this technique has helped me feel a bit more confident as I knock small accomplishments off the list. Before I knew it, that over 100 mile stretch of trail was covered and I was climbing Clingmans Dome to reach my 200-mile mark on trail, something a week before seemed totally out of reach. Excited to see what the next 200 miles has to teach me as I continue my hike along the Appalachian Trail. I will be finishing up Great Smoky Mountains National Park in the next few days and will be on my way through Tennessee shortly after. Reaching Clingmans Dome and hitting the 200-mile mark! Hi friends! 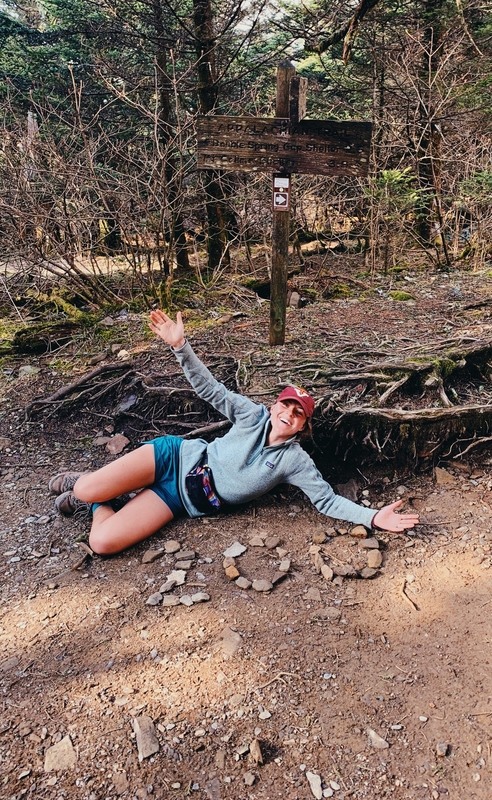 My Name is Elena and I am attempting a NOBO thru hike of the Appalachian Trail come April 2019. While I have only spent a whopping total of 2 nights out in the woods before, I look forward to taking every step between Georgia and Maine. I hope you will come along for the ride!